He sees the past in three stages: 1) companies were in the business of providing supplies and core objects 2) we moved away from that to a convenience economy where we make it convenient for you to get what you need 3) now we are moving to the empowerment economy. It’s no longer about providing an object or convenience; it’s about giving them the power to supply themselves. Gray does not believe corporations understand this. Google and Uber get this circular idea of empowering people, which he believes is the future of business. The companies that embrace this empowerment economy are the companies that are going to succeed. Those are his words direct from the radio program referenced above. 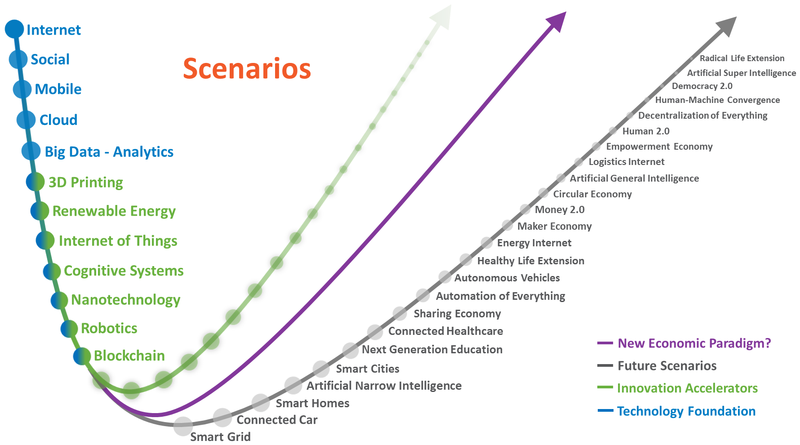 So we add empowerment economy to the growing list of future scenarios. Thanks Gray.